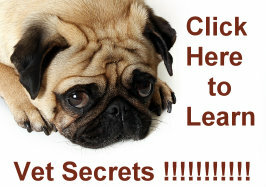 Pug food allergies can be a source of concern for both your Pug and you. Dogs can have allergies just like humans and these allergies can include molds and pollens as well as food. The most common symptom is itchy skin and while most owners immediately think of fleas, a Pug that is constantly scratching itself may actually have a problem with the food he is eating. 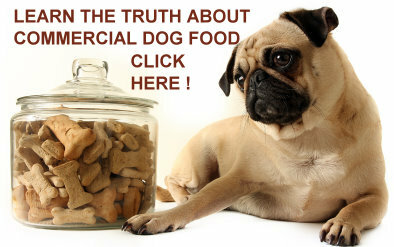 Pug food allergies, of course, are far different from the toxic foods and substances described elsewhere in this site. Chocolate, for example, can actually be fatal to a Pug because of the substance theobromine. Macademia nuts can also cause severe problems for a Pug. These substances are examples of of toxins rather than ingredients that are common Pug food allergies. There are foods that, while not toxic, are known to cause problems for a Pug. Grapes, raisins, onion and egg whites are not foods that any Pug should be eating on a regular basis. But there are other ingredients that your particular Pug may be sensitive to. If your Pug seems to be scratching more than normal it might be that he is ingesting something that is not agreeing with. If you change your brand of dog food, be especially sensitive to the fact that something new in your Pug’s diet may not be agreeing with him. If you suspect a problem check what grain is contained in your Pug’s food. Rice is usually a safer bet than corn or wheat. If you suspect a problem you can consult your veterinarian on what might be the possible cause. One of the questions that is sure to be asked is about what your Pug has been eating recently. Be cautious when you introduce a new food to your Pug. Give him the food only in moderation and watch for any reaction. Be aware that, often, the reaction can be seen in an increase in the amount of scratching your Pug is doing. Pug food allergies can sometimes be hard to track down just as it is with you or a child. Be aware of any change or new food consumed by your Pug and, by process of elimination, you usually can narrow it down to the offending substance.